Robyn's promotion codifies her role in our organization's strategic restructuring. A key member of The Compliance Group team has been promoted to an executive role. TCG, the premier nationwide mortgage compliance and quality control organization in the financial services industry, is excited to announce that Robyn Holyoak has been promoted to Executive Vice President and Chief Operating Officer. Holyoak, who has acted as COO for three years, will maintain her prior role in addition to taking on new executive responsibilities as EVP. The newest member of TCG executive team brings an impressive three decades of experience in financial services. 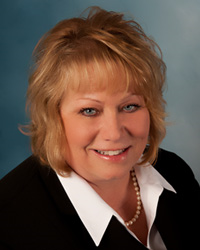 Her expertise includes regulatory compliance, banking operations and legal administration. “She has proved to be a leader both in and out of the organization,” said Jeremy Burcham, TCG President, of Holyoak, who regularly participates in regulatory compliance and servicing industry events as a guest speaker, presenter and subject matter expert. Before serving as COO, Holyoak was TCG’s Director of Compliance. Prior to joining TCG, she managed the Legal Operations Staff at a large California based lender and servicer. Holyoak also boasts major accomplishments in the management of federal and multi-state regulatory compliance and licensing for several mortgage companies. She has worked as a corporate paralegal and legal investigator for private firms and has held various management positions in bank operations.